If you knew about any of these, your car knowledge is strong! We all know that the manual transmission is dying out on mainstream cars. There are few cars on the market that offer a manual as an option, and even fewer that don't come with the option of a self-shifting transmission. Most of the manual transmissions are reserved for sporty and expensive models, but they can often be found on the other end of the spectrum on the most basic models. We have compiled a list of five cars that offered manual transmissions that no one knew about. Maybe that is why no one ordered them, or perhaps they just weren't very good. The manual transmission is extremely important for Porsche models like the 911 and 718, but not as much for an SUV like the Cayenne. 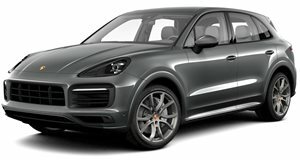 Few buyers of family SUVs like the Cayenne care about having a manual, but that didn't stop Porsche from offering it. The manual option was only available on the base Cayenne with the 3.6-liter V6 that produced 300 horsepower and 295 pound-feet of torque. The manual model could hit 60 mphin 7.5 seconds, 0.5 seconds faster than the eight-speed Tiptronic. Unfortunately, the Turbo never had a manual option, but the original Cayenne GTS did have the option of a six-speed manual with its 405-hp V8. 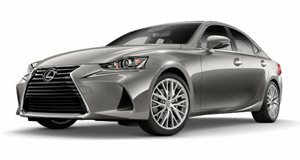 The Lexus IS was always a BMW 3 Series competitor that never received the same attention as German rivals like the Audi A4 and Mercedes C-Class. Perhaps that's because the IS lost its manual transmission after the first generation IS300. Or did it? Lexus actually continued to offer the IS with a six-speed manual, but only on the base RWD IS250. The IS250 was powered by a 2.5-liter V6 engine that only produced 205 hp, which was less than the competition. If Lexus had offered the transmission on the more powerful IS350 or IS-F models, then maybe more enthusiasts would have taken it. Instead, only one in 34,719 IS250 models had the manual transmission. 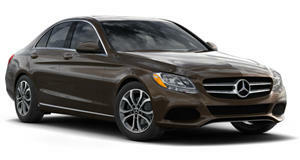 The Mercedes C-Class has a very similar story to the Lexus IS. It did have the option of a six-speed manual instead of the seven-speed automatic that almost everyone ordered. However, the manual was only available on the base C300. The C300 came with a 3.0-liter V6 with 228 hp, so it was a little faster than the IS250. However, the more powerful C350 and C63 AMG models were sadly automatic only. We had the chance to drive one of these manual C300s once, and were expecting it to be fantastic. Unfortunately it just felt rather slow and uninspired. It wasn't nearly as good as the automatic AMG model. Too bad we never got to see how awesome the C63 could be with a manual transmission. 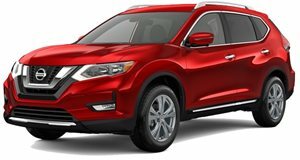 We always lament the fact that Nissan took the once rugged Pathfinder, and turned it into a CVT-driven minivan alternative. While the Pathfinder may never be what it once was, Nissan made up for it with the Xterra. Everyone loves the Toyota 4Runner as an off-roading SUV, but the Xterra was also pretty impressive. 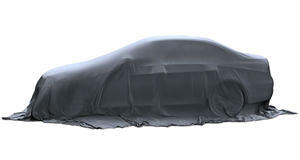 The last Xterra model came with a 4.0-liter V6 with 261 hp. Most Xterras came with a five-speed automatic, but some came with a six-speed manual. We think that the manual Xterra is one of the best cars for off-road enthusiasts, and could even be a Jeep Wrangler competitor. Too bad Nissan discontinued it in 2015 for emissions reasons. The final car on this list is the Ferrari California. But everyone knows that in every road review of the California, it mentions a seven-speed dual-clutch transmission right? Well, Ferrari did offer the car with a gated six-speed manual transmission if you asked nicely. It is rumored that only a handful of Californias were ordered with the manual, making them extremely rare. One example already sold for well over its original sticker price. The California was actually the last manual Ferrari ever built, which should help it to become a collectible in the future.